Until now, we've made a mistake in personality assessment. 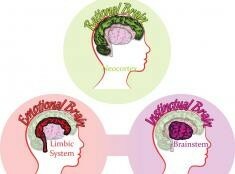 In holding the rational brain as superior and dominant, we've ignored our emotional and instinctual nature. The Striving Styles corrects this, leveraging an understanding of emotions-based needs in order to permanently change dysfunctional patterns of behavior. From the Striving Styles Personality System's fusion of leading emotion-based theories of the brain, two systems of behavior have emerged — Self-Actualizing and Self-Protective. A cross-disciplinary understanding of these systems is your very best option for addressing the needs of your clients and achieving genuine, lasting changes in behavior, at work or at home. Maclean proposed that we have three brains, each with a different evolutionary layer formed over the previous one: the reptilian brain (instinctual), the limbic brain (emotional) and the neocortical brain (rational). Previous assessment models often simply dismiss the first two. Joseph LeDoux points out a distinct asymmetry in the way portions of the brain affect each other. The reptilian and emotional brains have a far greater influence upon the rational brain than vice versa. 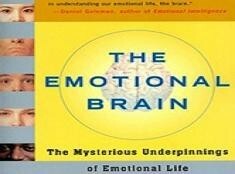 This makes it possible for emotions to dominate and control thinking. Our development depends on using our rational brain in cooperation with the emotional brain, a fact Striving Styles puts to work in our Roadmap to Development. Jaak Panksepp hypothesized that by studying and understanding emotions at the neural level, we can understand emotions and emotional disorders in humans. Panksepp helps us understand the triune brain from a functional perspective, hypothesizing two distinct brain systems: the Fear System and the Seeking System. You can't ignore emotion in your practice or in your organization. Instead, acknowledge its influence and then discover ways to mitigate or harness its power. Become a Practitioner today to achieve immediate benefits. !